Curcumin is the principal curcuminoid of the popular Indian spice turmeric, often found in curry, and has been used for thousands of years in Ayurvedic medicine. 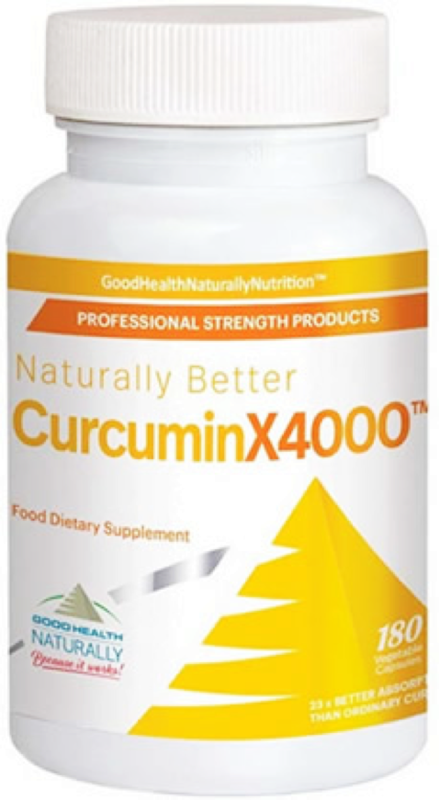 Curcumin X4000 contains MERIVA and uses new technology to protect the Curcumin from the water which in turns improves the bioavailability and absorption of the Curcumin. Curcumin (from Turmeric) has been used for thousands of years for its antibacterial, anti-viral, anti-inflammatory & anti-fungal properties. Due to its inherent poor absorbency, high doses of ordinary Curcumin 95% have been needed to achieve the dramatic effects shown in worldwide studies. Now, CurcuminX4000™ resolves this with its unique high utilization formulation. Take three capsules of Curcumin x4000 daily.